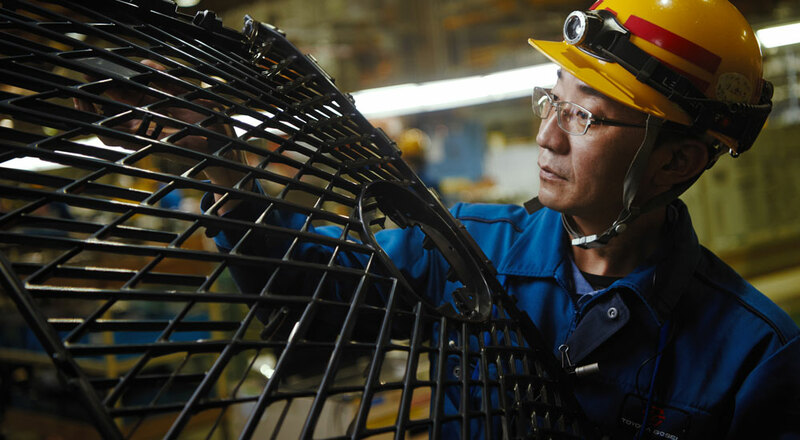 Bringing to life the spindle grille design on the all-new Lexus LS would not have been possible without the human accuracy of an exceptional craftsman, transforming machined output into work of art. The pattern on the evolved, iconic spindle grille is of such delicate complexity, it required an unusually high level of human skill in both the design and fabrication stages to complete. 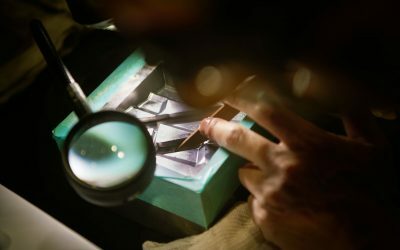 From computer screen to finished product, constant artisan involvement ensured the beauty of the designer’s original vision was fully expressed. The new design features a single intricate span of interlocking Lexus ‘L’ motifs, a web-like tapestry inspired by the fine delicate patterns of those found in nature. 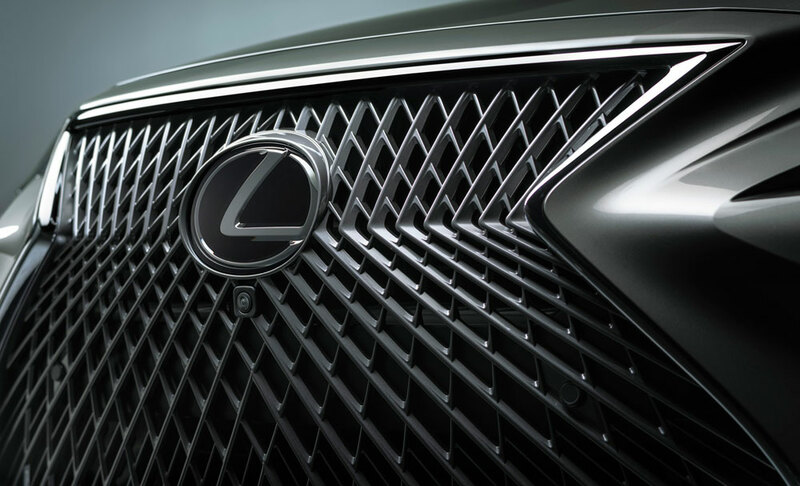 While previous designs called for two separate upper and lower molds, the designers at Lexus challenged themselves to express the new incredibly complex grille as a single, integrated piece. While the computer modelling program rendered the pattern with reasonable accuracy, completing the precise design required a human eye. Augmenting the computer render was a skilled design modeller in an unprecedented display of dedication to detail, working a typical eight hour day over a six month period to individually adjust the curved surfaces of five thousand motifs on-screen. Reflecting the performance spirit of the LS F SPORT variant, the grille has an even more dynamic expression requiring edits to over seven thousand surfaces. Now complete, the intricate, computer-rendered pattern – finished by meticulous human manipulation into a work of art – continues its journey in the hands of a metal mold Takumi craftsman. 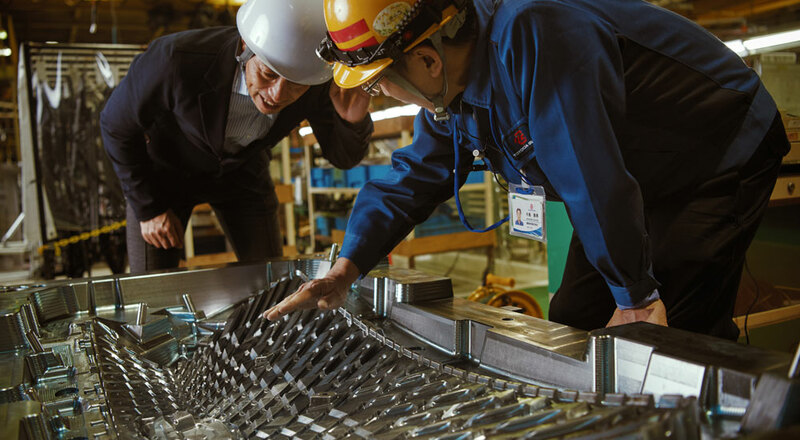 “Takumi” describes a craftsperson with the highest levels of technical skill and precise application, honed over decades of experience in his or her field of expertise. 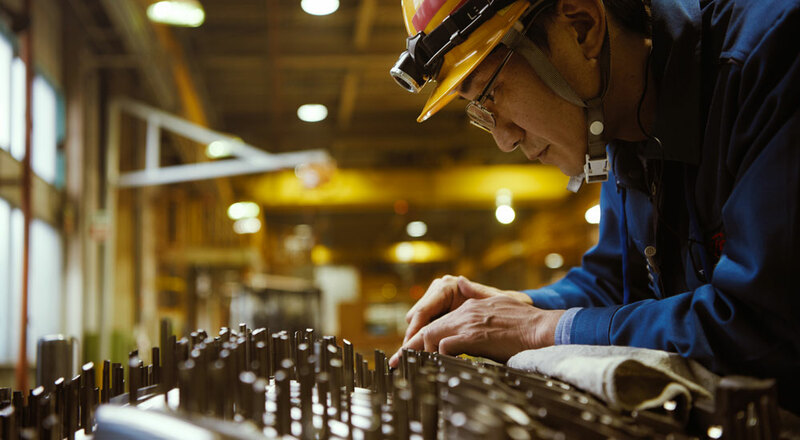 Yasuhiro Nakashima has spent twenty-seven years learning and honing his craft – filing, shaping and polishing metal molds to extremely exact levels. The Takumi master possesses a natural competitiveness and a passion to be the best at what he does, the depth of his dedication illustrated in his own set of customized tools – including hand-made bamboo instruments to shape finer details. 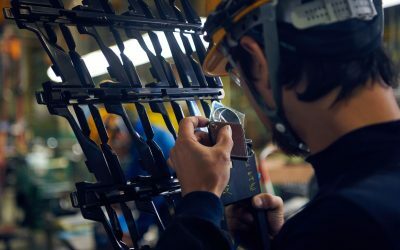 When Nakashima received the all-new Lexus LS spindle grille design from the Lexus Design team, he needed to bring his passionate artisanship to ensure the mold’s accuracy. The uncommonly large single grille required the finished mold to be structurally sound while also accurately reflecting the finely detailed design. 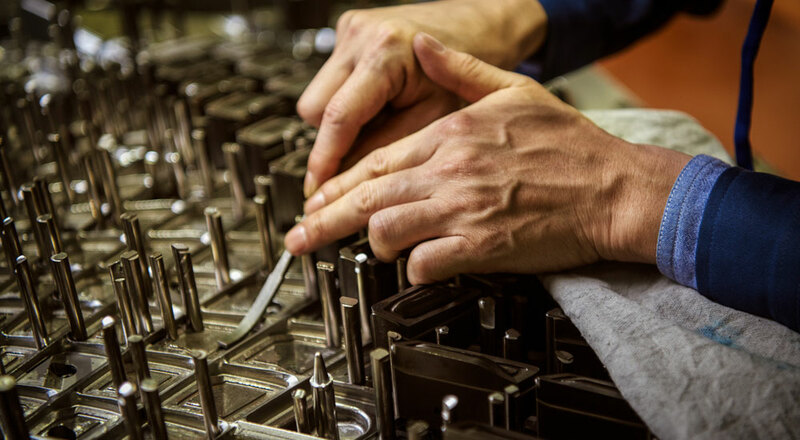 The machines and processes used to create the mold are amongst the very best available anywhere but – reflecting the same human factor in the design – finishing with absolute accuracy necessitated a remarkable human skill. 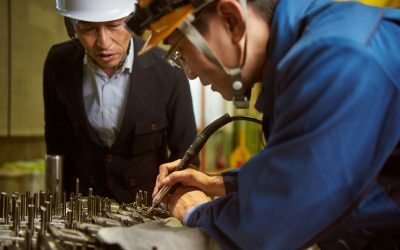 With his customized toolset and experienced eye, Nakashima is able to refine surface smoothness to within 100 microns (0.1 millimeter) – a difference even the best robotic milling technology cannot detect. 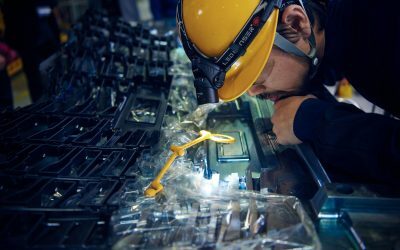 During the finishing he also anticipates details technology cannot, polishing by hand the minute individual surfaces in directions that improve the reflective aesthetic of the grille’s final coating. These details may not be readily noticeable at a casual glance but are further indication of the dedication he applies to his craft with techniques refined over decades. Fabricating a mold to the exactness articulated in the design demanded extra attention from Nakashima that helped push the production stage out to five months – over a month longer than usual. Throughout the process, he collaborated with the design team – each challenging the other, designer and craftsman working together to ensure the very best outcome. Koichi Suga, Lexus Project Chief Designer complements Nakashima, “We consistently pushed our partners beyond previous thresholds to help deliver a vehicle that delights the public enough to want to buy it. I know this can be very difficult at times but I also know Nakashima-san shares our vision and worked extremely hard to realize our design”. Nakashima concludes, “I want those who see the grille to appreciate the design and to feel wonder over its creation, I want them to be amazed at first glance”. Lexus has redefined its flagship sedan and set it apart from the competition with unique, imaginative design and elevated levels of craftsmanship that make the impossible, a reality. And that story begins at the front, with the completely reimagined spindle grille. Ian Schmidt: I prefer both new grilles to the horizontal slats, but it would be interesting to see a Photochop.